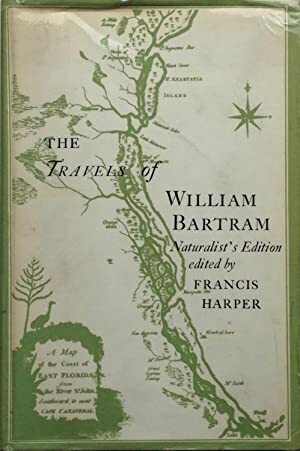 John Bartram (1699-1777), "the first native-born American to devote his entire life to the study of nature," was an eminently practical man, a scientist devoted to the rigorous description of living things. Among his subjects was the Venus flytrap, along with hundreds of species of plants and animals, fully "one quarter of all the plants identified and sent to Europe during the colonial period." His son William (1739-1823) was, by contrast, something of a dreamer, and far less methodical a scientist than was his father. Yet his lyrical Travels, an account of specimen-collecting in the Deep South, is read today, while John Bartram's work is not. Thomas Slaughter examines their lives, noting the influence both men had on Henry David Thoreau and the English Romantics, especially Samuel Taylor Coleridge and William Wordsworth. Established in 2008, Acanthophyllum Books specialises in out-of-print and rare books in the natural sciences, especially botany. Its name is taken from a group of spiny plants inhabiting the highlands of south-west Asia. We are members of the Provincial Booksellers' Fairs Association, observe their professional standards, and exhibit regularly at PBFA book fairs. returns are notified to us in advance. All items are priced in Pounds Sterling. Orders usually ship within 2 business days. Shipping costs are based on books weighing up to 0.9 KG. If your book order is heavy or oversized, we may contact you to let you know extra shipping is required. Payment is also accepted by PayPal.